Growing up, Charlie and the Chocolate Factory was always around. A paperback on the shelf, the VHS and eventual DVD tucked away somewhere musty – pulled out for random holidays or family nights. It’s a film that left me profoundly confused, happy and bitter at a time when a 10-year-old brain could barely comprehend the idea of having tangible emotions. 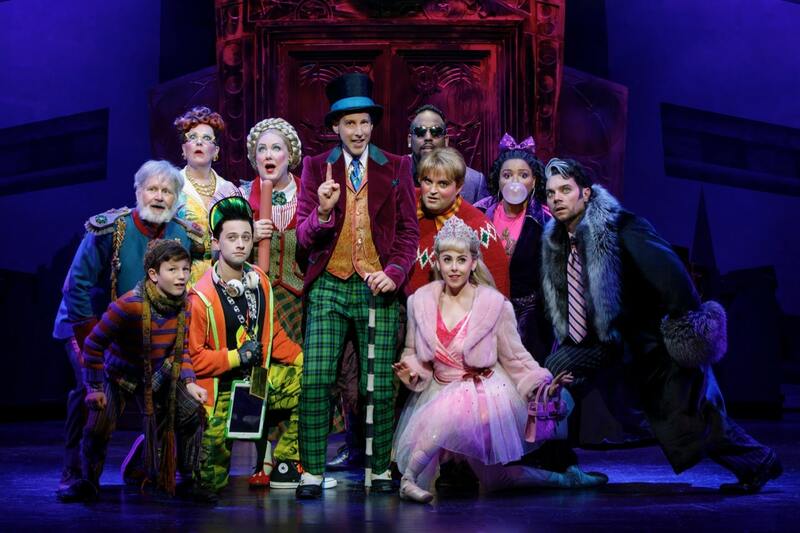 So it’s nice to see the award winning broadway production of Charlie and the Chocolate Factory, make its way back Toronto. Presented by Mirvish as a family friendly show by (as the film inexplicably was back in 1971) the 2018 staging reins in some of the more adult themes – including the acid trip boat sequence – in favour for a song and dance escapade that finds the sweet spot between spectacle and narrative. The story is tried and true – Charlie Bucket, hailing from a poor family (absent a father in this one) lives with his grandparents and mother in a shack on the edge of town. The famous but long dormant chocolatier, Willy Wonka, is pulling back the curtain on his factory, inviting five lucky winners to check out how the magic is literally made. A world-wide hunt ensues, archetypal kids find four-out-of-five tickets, and Charlie the empathetic kid from nothing, squeaks in on a whim. There’s no Slugworth to be found here, and the narrative has been stripped down to its core. The millionaire from Paraguay with the fake ticket has been axed, and Wonka shows up in disguise as a shopkeeper striking up a friendship with Charlie. This subtle change is interesting because it provides the assumption that Wonka wanted Charlie to inherit the factory all along. If the narrative is two hours of comfort food, the production and set design are the atmosphere of indulgence. Directed by Jack O’Brien, everything from the home (on wheels) Charlie lives in, or the front gates of the factory itself, feels alive and purposeful. A digital screen boxing in three sides of the stage provides some cool effects, while the physical props of the lush green interior are wonderful to soak in. And when it comes to doing away (see murdering?) with pesky children, Mirvish makes it big, hilarious and in the case of Vercua Salt- incredibly disturbing. The song and dance portions are pretty impressive, with Wonka’s voice standing out. There was just enough of The Candy Man and Pure Imagination, that it never felt annoying and more in line with Gene Wilder than Johnny Depp. I won’t spoil how the show incorporates the Oompa Loompas, but it’s hilarious and very smart. With the 2018 Mirvish production of Charlie and the Chocolate Factory, you know what you’re getting into. My biggest fear is that things would have been drastically changed for the sake of “art.” But things are just different enough in the staging and costume design, that it felt fresh and updated. For example, the gum-obsessed Violet Beauregarde is still chasing fame, but through a 2018 lens. She’s instagram famous, and followed everywhere by her father who spouts nonsense about her brand value while recording her antics whenever he can. Also, the practical effects that turn her into a giant blueberry are astonishing. Overall I came away feeling deeply happy and secure in watching this theatrical production. It’ll be a great show to take the family to over the holidays, and trades the busy, often cynical beats of daily life, with the cynical but ultimately optimistic world of Wonka and the gift of imagination. 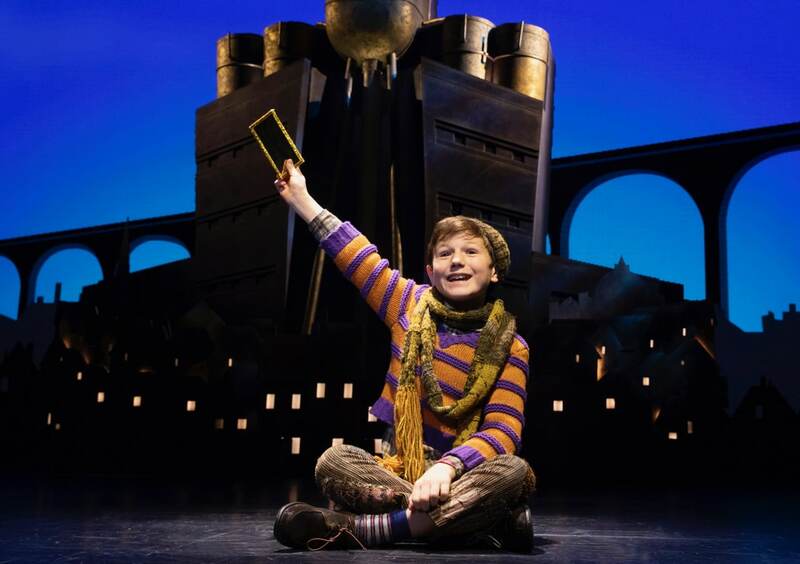 Willy Wonks is playing at the Princess of Wales Theatre until January 6th.